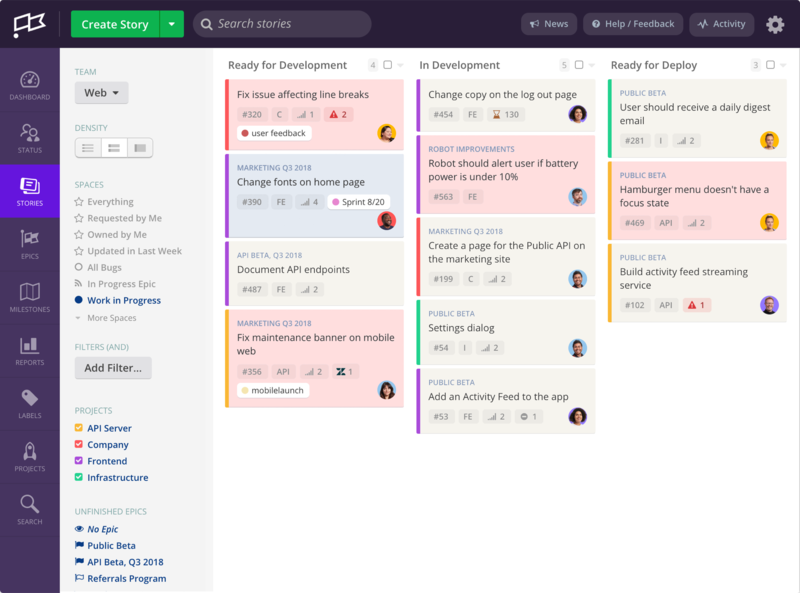 Clubhouse is a project management platform designed for software development that brings everyone on every team together to build better products. It allows a user to dive in and out of projects to see what part each team is working on and at what speed. Clubhouse integrates with Status Shark as a "Service". Simply create a new Service, set the type as Clubhouse and provide an API key. Once created Status Shark will download all the labels from your account for use in creating Dashboards. Status Shark was built by developers and product managers that needed to solve their own problem. We didn't just build Status Shark, we use it every day. 2019 © Copyright by Status Shark. All Rights Reserved.